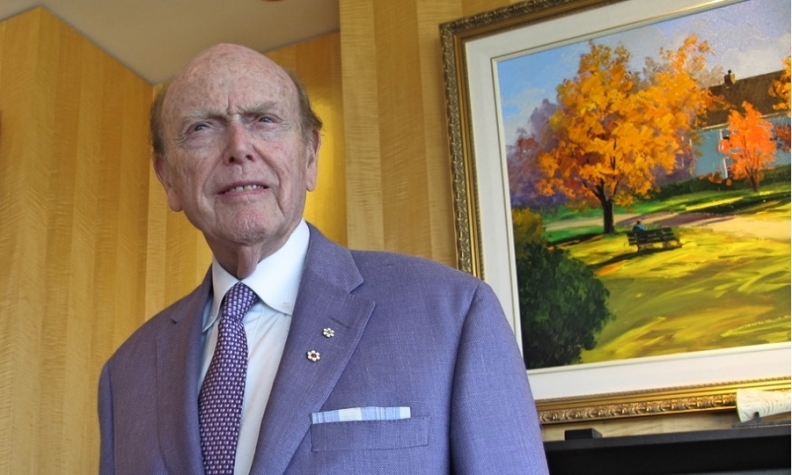 Jim Pattison says dealerships will have fewer staff in the future, he said, and smaller physical footprints, perhaps with several brands under one roof like a high-end department store housing individual boutiques. 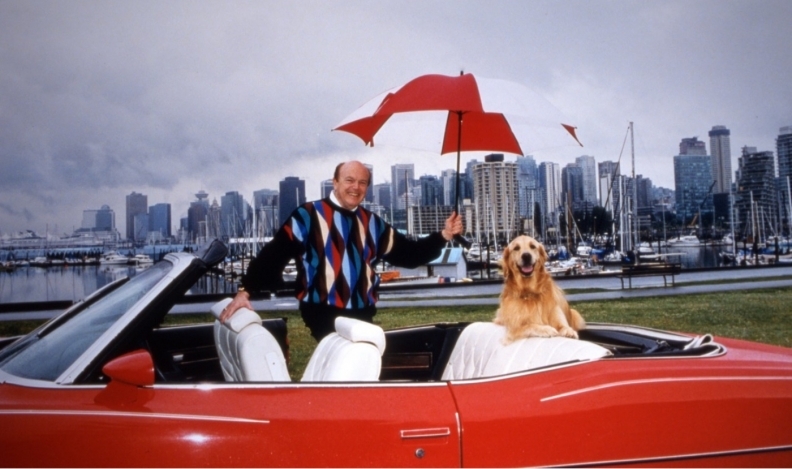 VANCOUVER -- Jimmy Pattison sold his first used car, a 1939 Dodge almost 70 years ago, but the billionaire entrepreneur’s vision of the auto-sales business is not clouded by nostalgia. Pattison believes radical change is inevitable as personal transportation shifts toward online transactions, lower-maintenance electric vehicles, car sharing and driverless automation. Dealerships will have fewer staff in the future, he said, and smaller physical footprints, perhaps with several brands under one roof like a high-end department store housing individual boutiques. Pattison certainly has fond memories of the car business from when he bought his first dealership, a Pontiac-Buick store in 1961. One wall of his airy 18th-floor office overlooking Vancouver’s Coal Harbour features shelves of photo albums chronicling lavish sales promotions, staff parties and happy customers. From sales ethics to customer satisfaction, Pattison believes much has improved from the time car dealerships lined Vancouver’s Georgia Street, now studded with glass towers. Pattison Auto Group has 25 dealerships in Western Canada across 12 brands that sold 21,400 vehicles last year. It’s one unit of the Pattison Group’s highly diversified holdings, which includes broadcasting, entertainment, food, real estate, advertising, forest products and packaging. At 88, Pattison remains CEO of the second-largest private company in Canada with annual revenue last year of $9.6 billion. He drives himself daily across the Lions Gate Bridge from his West Vancouver home, currently in a Chrysler Pacifica. On sunny summer days he might take his 1975 Pontiac convertible. Ironically, the birth of Pattison’s business empire stemmed partly from GM’s unwillingness to grant him another franchise after launching his first Vancouver dealership. Pattison cut his teeth selling used cars to help pay his way through university. He dropped out when a chance came to buy his own lot. Local Nash dealer Dan McLean got it eventually, but hired Pattison as manager, then took Pattison with him when he acquired a Cadillac-Buick dealership. Pattison admitted passing on the first serious challenge to the dominance of big American iron. Pattison remedied that misjudgment. His portfolio now includes VW and Audi, as well as Hyundai, Toyota, Lexus and Subaru. Pattison bought his irst GM dealership with a $40,000 loan from the Royal Bank of Canada and another $230,000 from GM’s Motors Holding arm, which helps aspiring dealers who have experience but no capital. He would eventually have three GM stores; he sold the last in 1992. Pattison remains grateful to GM for helping launch his career but chafed under rules that at the time forbade owning multiple GM dealerships, never mind competing brands. Pattison bought his first Toyota franchise in 1980 without first clearing it with GM. Today, buyers are well prepared with Internet research before ever setting foot in the showroom. “People come in now knowing what they want,” he said. Much of the transaction is migrating online, including finance and insurance and even detailed trade-in valuations. Car-sharing and new electric vehicles with lower service requirements will force even more change to the dealer model, Pattison said. Still, he believes there will always be a role for physical dealerships, especially outside big cities where sales and service choices are shrinking. And if people continue to own their personal vehicles, someone will eventually have to evaluate the trade-in. “No used car is exactly the same,” he said.